I hope everyone had a wonderful Christmas! 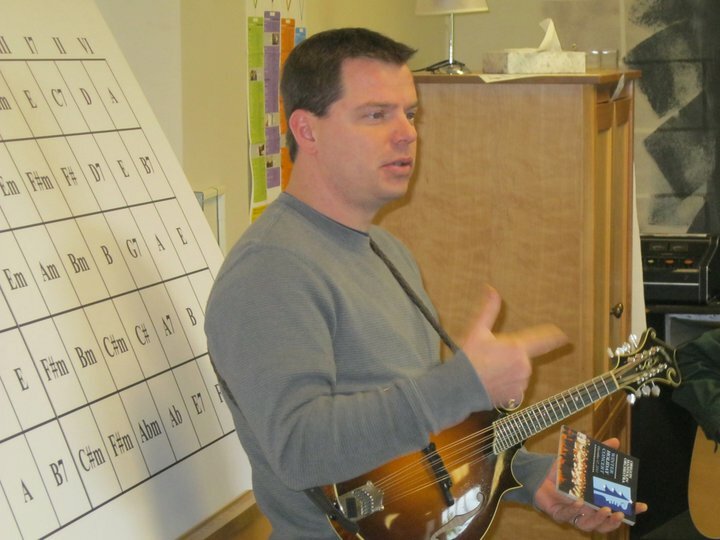 Taborgrass is back to regularly scheduled classes this Saturday with a party in between. Please join us for a little celebration of the New Year at the 11:30am break. Don’t miss the “Name That Tune” contest and other fun things. Fabulous prizes to be won from the OBA. We are CANCELLING Taborgrass for Saturday, December 17th to the weather. We are CANCELLING Taborgrass for Saturday, December 17th to the weather. Please stay home and safe. 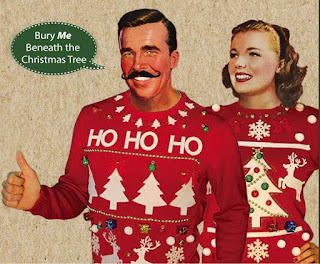 Also a reminder: Taborgrass will not be holding classes the following week on Christmas Eve. 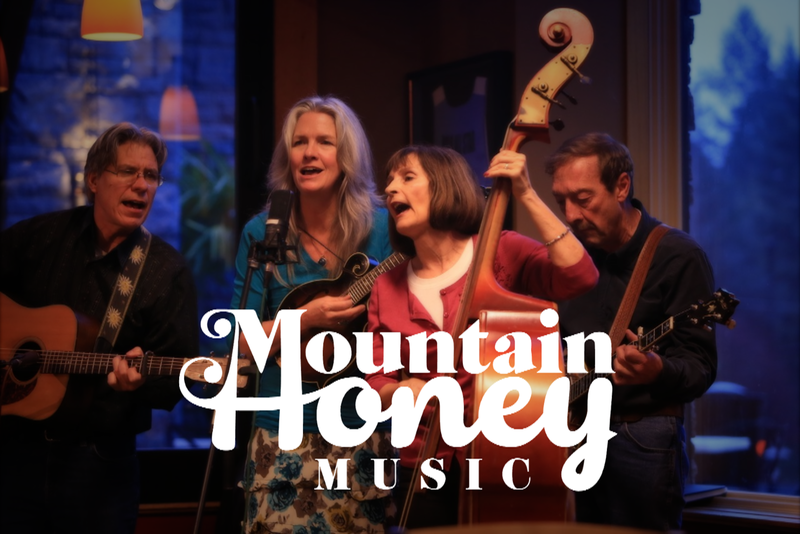 Mountain Honey Weekend this Friday and Sunday! Taborgrass’s own Mountain Honey will be performing two times this weekend for both our West side and East side friends and fans. Please join us at one of these wonderful venues. We would love to see you! Friday, November 18th at Blast Burger in Lake Oswego 7pm to 9:30pm. Great burgers and beer selection for our West side friends! 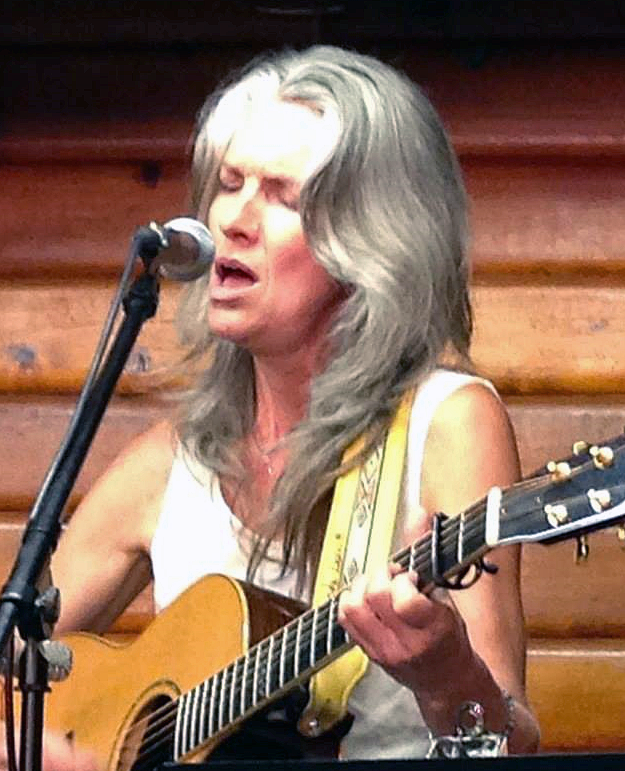 Sunday, November 20th at Fire and Stone Pizza on NE Fremont 6pm to 8:30pm. Great pizza and beer selection for our East side friends! For more information visit Taborgrass.com and click on the Events page. 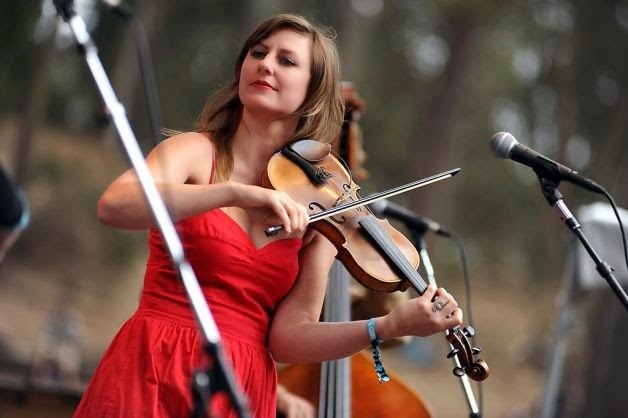 Taborgrass’s own, Mountain Honey just coming home from our performance at the Tygh Valley Jamboree, is excited to be playing again this week at one of our favorite venues, the Muddy Rudder. The party starts at 8pm. Come early to get a good seat. Good food, nice bar. We’re on the east side of the Sellwood Bridge. 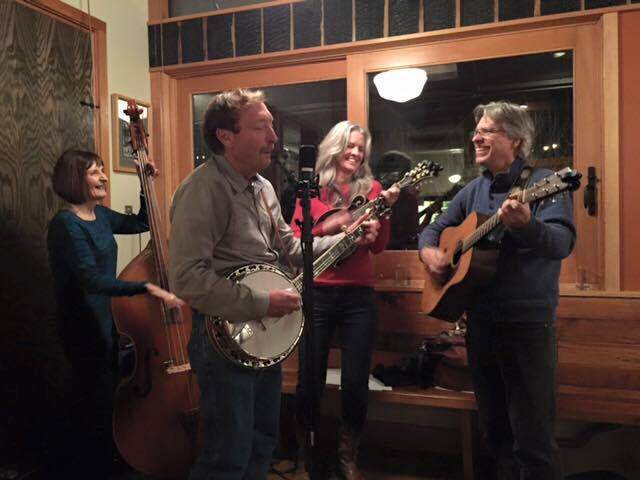 Please come down and listen to Greg Stone, Linda Leavitt, Dee Johnson, and Mike Stahlman share their bluegrass music. Love to see ya there! You are invited to join the Taborgrassers on the patio at noon for some fun jamming. 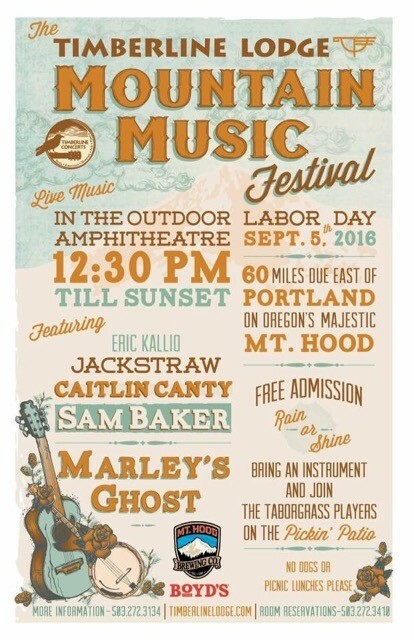 You can also check out the show for free at the outdoor amphitheater and explore the trails, wildflowers and spectacular views on Mt. Hood. Have lunch, stay for dinner and jam by the fireside in the lobby. This is a fun festival. Hope to see you there! There will be a dinner party at the TurtleGrass camp at the festival on FRIDAY August 12th. The time is 4:00 to 5:30. We will fire up the grill right at 4:00 so that we can get down to the main event area in time for the bands. The first band goes on at 5:30 and I am sure you don’t want to miss Fern Hill’s performance. 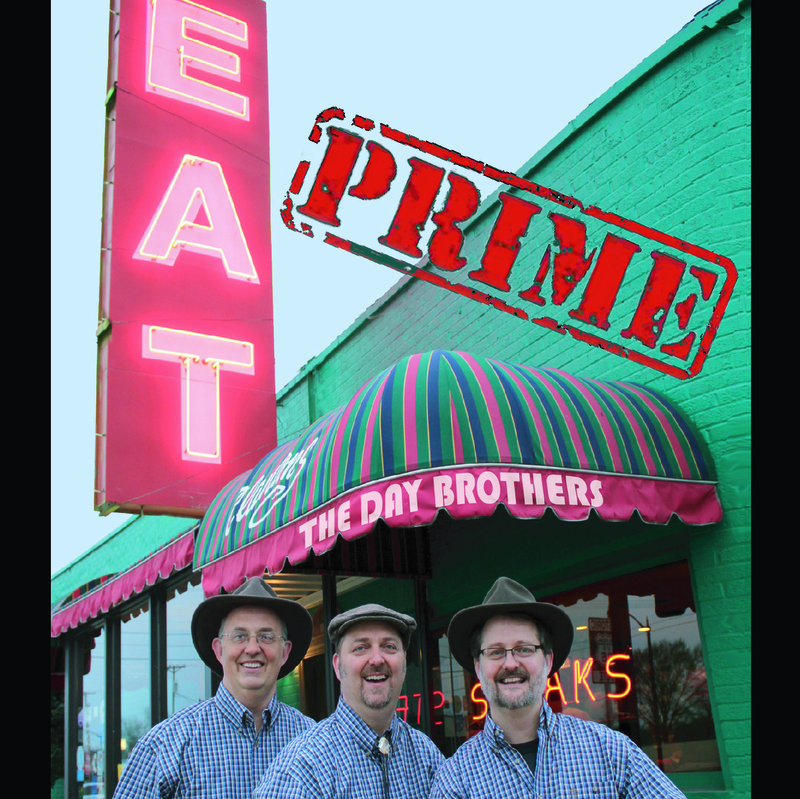 They have great harmonies and traditional bluegrass sound. One of my NW favorites. We provide the Brats and paper goods. To participate bring a side dish to be shared with others as well as your own beverage and chair. Please send a text to 503-522-2387 or send an email to firridge@ccgmail.net if you plan to join us, so we know about how many brats to bring. Our grill master Bill McCall hopes to set a new record at the grill. If you need a suggestion as to what to contribute I will be happy to provide. Many folks tell me what they are making/bringing so I could share ideas with you. 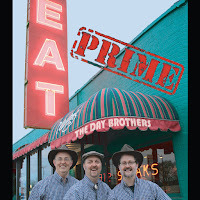 Specifics regarding this festival can be found at washingtonbluegrass.org. This is a fun festival with a great band lineup…. we hope to see you there. Slow jamming at the TurtleGrass tent throughout the festival The new tune is Arkansas Traveler( Key of D ) and the song is Build Me A Cabin In The Corner Of Glory Land (most likely key of A if Jan leads it and key of D if Bill leads it). You should be able to google these two melodies easy enough. If not, no big deal. Life is one sweet song….so start the music! Mountain Honey will be in concert along with the Day Brothers!! this Friday, July 29th at 7pm at Clackamas Bible Church, 15655 SE Johnson Rd. , Clackamas, OR. 97015. This is a new venue for us and for our fans on the east side and south of town. Please come join in the fun. There will be a donation jar. Hope to see you there! Also, Mountain Honey will be playing this weekend at Blast Burger in Lake Oswego for our fans on the west side on Saturday, July 30th at 7pm. Please come and order up some great burgers, choose from a good selection of beers, and listen to some hard driving banjo and great harmonies from Taborgrass’s own, Mountain Honey. Hope to see you there! Mountain Honey at The Muddy Rudder this Thursday! 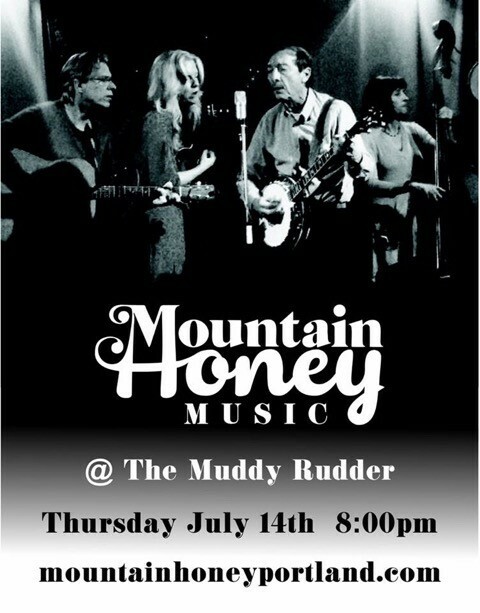 Mountain Honey will be performing at the Muddy Rudder Public House this Thursday, July 14th at 8pm. Please come join in the fun. Greg will be on guitar, with Linda Leavitt on mandolin and singing, Mike Stahlman on banjo and singing, and Marty Henick on bass and vocals. It will be great to see you there! Our Events page had some incorrect information in it that has now been fixed. 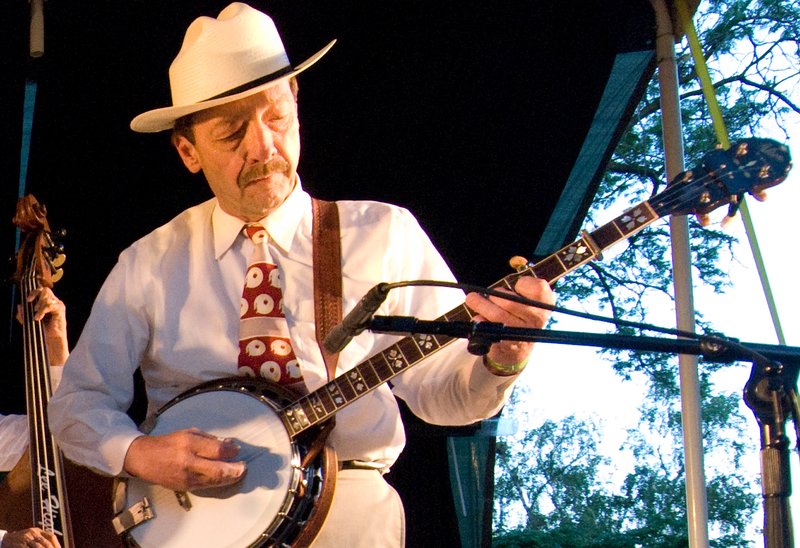 The correct dates for the St. Helens Bluegrass Festival are Friday, August 12th through Sunday, August 14th, 2016. Note that some handouts may have the wrong dates on them as well - so please update your calendar with these corrected dates. David Dunham is hosting a new weekly slow jam starting next Tuesday morning from 10:00 AM to 12:00 noon in Grant Park at the corner of NE Hollywood Court and NE 36th Avenue. There is a large shelter so come rain or shine. This jam is a spin-off from the Velo Cult jam. It is a slower jam to provide an opportunity for true beginners to join in.